Premium home solutions specialist Häfele UK has launched an exciting partnership with Smeg to expand its already impressive appliance portfolio, which includes Rangemaster and Falcon. Smeg’s range, famed for its style, elegance and quality, is now available via Häfele’s website or by contacting the dedicated sales team. 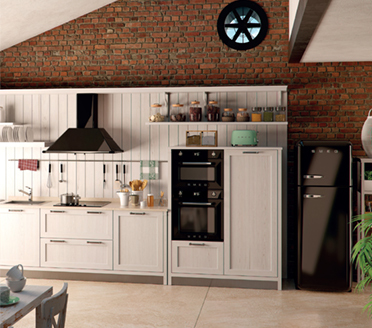 With all products still made and extensively tested in Italy, Smeg has stood the test of time and represents a phenomenal addition for Häfele UK’s kitchen appliance range. The Smeg range is tailored to offer tasteful appliances which complement the user’s ambiance and style. 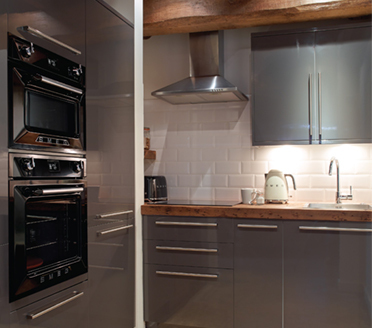 Comprising of range cookers, fridge freezers, ovens, hobs, hoods and extractors, warming drawers, coffee machines, microwaves and dishwashers, sinks and taps, the range is available in the retro statement colours that have served Smeg so well, but also in ultra-modern sleek glass and stainless steel. Kerry Baulch, Head of Product Management at Häfele UK said: “We are extremely proud to announce our partnership with Smeg. The timeless elegance of Smeg, offers our customers iconic, statement appliances. The modern technology with stylish design gives our customers truly distinct products. From the Victoria Range Cooker to the Retro Style Fridge Freezer, the collection of iconic products, brings the unmistakable designs and quality focus that make Smeg the highly desirable brand it is today. Furthermore, Häfele will be stocking Smeg Sinks and Taps in the early part of 2016, becoming the first official UK supplier to offer the Smeg sink range from stock. All Häfele trade customers can buy online at www.hafele.co.uk or by calling directly on 0800 171 2909. To view the full, extensive range of kitchen appliances from Häfele UK and to request the latest brochure, please visit www.hafele.co.uk.